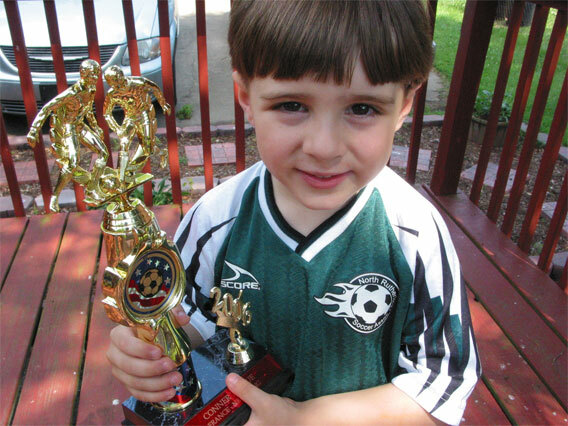 Here are a couple of photos from 6/3/2006 - the day of Conner's last soccer game. He had a great time this season and said he definitely wants to play again, so I guess we will be playing again in the fall more than likely. After the last game, everyone went out for ice cream at McDonald's and the kids had a great time playing in the play area together. We then gave them participation trophies. 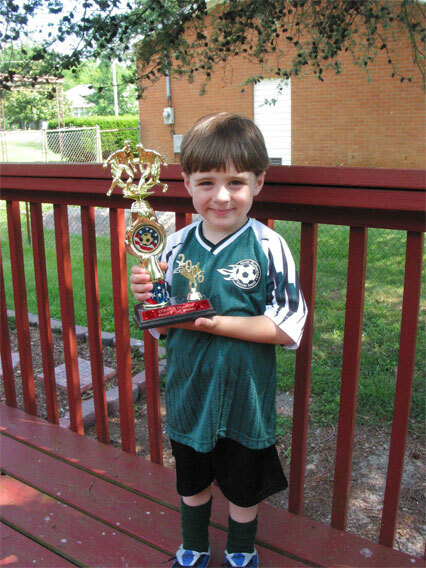 Conner LOVED his trophy. He talked about it for days...and even still does, weeks later.